SIXTY-one stillbirths have been referred to Northern Ireland Coroners’ Service after a legal challenge allowed inquests to examine why some babies die before taking their first breath. A landmark Court of Appeal decision in November 2013 set a new precedent by ruling that a coroner could hold an inquest into the death of a baby boy, Axel Desmond, who was stillborn in Altnagelvin Hospital in 2001. Until that decision, coroners here did not investigate stillbirth deaths. Commenting on the figures obtained by The Detail Axel’s mother, Siobhan Desmond, welcomed the fact that her son’s case was making a difference, but said it was important to also remember the pain families were going through. She said: “The first thing that hit me when I heard the figure is the thought of over 60 families going through pain and having unanswered questions. I know better than anyone that’s like a punch to the gut and they will be going through hell. “On the other hand it’s phenomenal that Axel is having this impact on the law to allow these cases to be heard. However the sad thing is that I feel I have lost 15 years trying to get things to this stage and my health has suffered as a result. Before the Court of Appeal decision Siobhan Desmond’s only avenue for accountability was to take legal action against the hospital whose care she came under. After 10 years an out-of-court settlement was agreed with the Western Health and Social Care Trust. There was no admission of liability on behalf of the trust and the payment only acknowledged injuries suffered by Siobhan in her labour and caesarean section operation but took no account of the life or death of Axel; because he was stillborn. In recent weeks The Detail has highlighted how Mr Larkin is now trying to persuade Stormont politicians to grant him more powers to access confidential documents on hospital deaths here. He believes this power is needed to ensure that cases which should be investigated are not slipping through the net. An inquest has not yet taken place and a date has not yet been set for Axel Desmond’s case despite the fact it was directed almost a year and a half ago. The coroners’ service confirmed that in Axel’s case statements are still pending from Altnagelvin Hospital in Derry. We asked the Western Trust about the delay but In a statement to The Detail a spokesperson said: “Respecting patient/client confidentiality the trust does not comment on individual cases." Siobhan said it is her hope that other families will never have to go through what she has. She said: “Some parents will never know Axel’s name, they’ll just go into hospital and have their healthy baby. They will leave hospital and they will have had a positive experience, all of this nightmare will be invisible to them. That’s the way it should be. 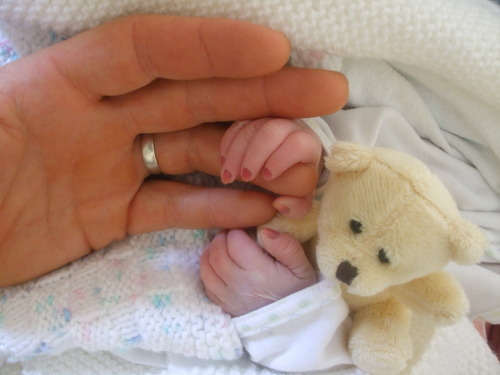 There are approximately 100 stillbirths every year in Northern Ireland. Axel Desmond was stillborn in Altnagelvin Hospital in 2001- one of the 112 stillbirths in Northern Ireland that year. Following his death Siobhan Desmond campaigned for the deaths of her son and other stillborn children to be afforded the same level of enquiry as children who had died before drawing breath, allowing learning to come from the preventable deaths. Following The Detail’s coverage Northern Ireland’s Attorney General, John Larkin QC raised questions about the non-availability of inquests for stillbirths here. In July 2012 Mr Larkin directed that an inquest should be held into death of Axel. However, senior coroner John Leckey said he believed that he would be acting outside of his legislative powers if he carried out an inquest into a stillborn baby. A legal challenge by Mr Larkin against the coroner’s decision was dismissed, but in November 2013 the Court of Appeal issued a landmark ruling that the coroner could hold an inquest into Axel Desmond’s death. See The Detail’s coverage on this decision by clicking here. Before the Court of Appeal decision on Axel’s case, in Northern Ireland a doctor would not contact the coroner if a stillbirth had occurred. Instead a doctor or midwife would issue a stillbirth certificate to the parents. Before the Court of Appeal decision a doctor would only have referred the case to the coroner if there was doubt about whether it was a still or live birth. The Court of Appeal decision meant that a coroner had jurisdiction to hold an inquest into stillbirth cases. The figures obtained by The Detail show that there were 61 stillbirth cases referred to the coroner in Northern Ireland between November 2013 and December 2014. The figures released by the Northern Ireland Courts Service in response to a Freedom of Information request also provide a breakdown of how each case was dealt with. The majority of the cases were closed by way of a stillbirth certificate after being initially referred to the coroner. This means that after discussion, the coroner and doctor agreed that the cause of death does not need to be investigated and a stillbirth certificate can be completed. In two cases a stillbirth certificate was registered following receipt of a post-mortem examination report. In these cases the coroner will have directed that no inquest is required. Investigations were listed as on-going in nine cases. One stillbirth inquest has already taken place. In June 2011 Cara Officer died of a rare blood disorder. Her unborn baby Ewan also died. The Court of Appeal judgement in Axel’s case meant that Northern Ireland’s senior coroner, John Leckey, widened the inquest into Cara’s death to also include an inquest into her son. The inquest took place in January 2014 and found that there may have been missed opportunities to diagnose Cara’s rare blood disorder. Read more about this case here. Axel Desmond’s case is listed in the table as “hospital statements pending”. Siobhan said the delay has been difficult to cope with. “Axel died in 2001 and the decision to hold an inquest into his death came in 2013. We’re now in 2015 and there seems to be no inquest in sight. Siobhan’s comments come in the wake of a major investigation by The Detail which examined concerns over how hospital deaths are investigated in Northern Ireland. Attorney General John Larkin QC, has been seeking powers to access confidential hospital documents, but politicians at Stormont have been divided over whether or not he should be granted such access. Axel Desmond’s case was only referred to the coroner after intervention from Mr Larkin. 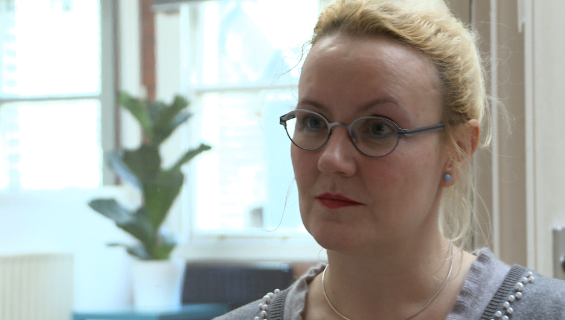 Siobhan believes there should be further independent scrutiny over how hospital deaths are investigated. “If it hadn’t have been for the Attorney General I don’t think we would have got anywhere with Axel’s case, surely that proves the need for someone else looking at these cases. The coroner is entitled to all documentation that is deemed relevant to the holding of an inquest, but the office has limited powers when it comes to compelling institutions such as hospitals to produce documents. Siobhan believes the ongoing delays in Axel’s inquest illustrate the need for changes to the current system.